Introduced staff module which will allow creation Joining letter, Increment letter , Salary Slip etc. 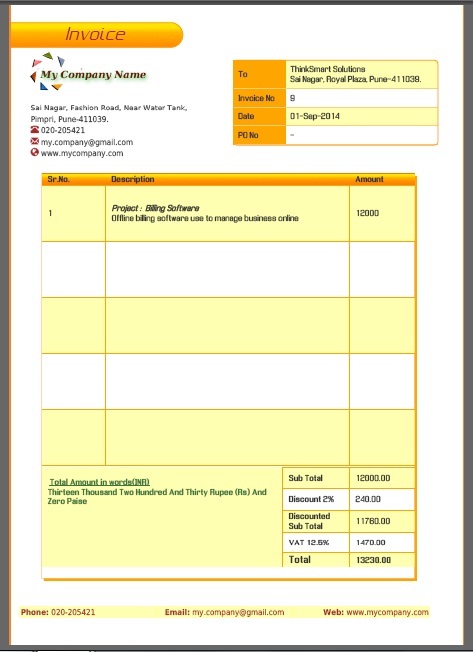 Billinventory.com make it possible to generate and access invoices for your business. 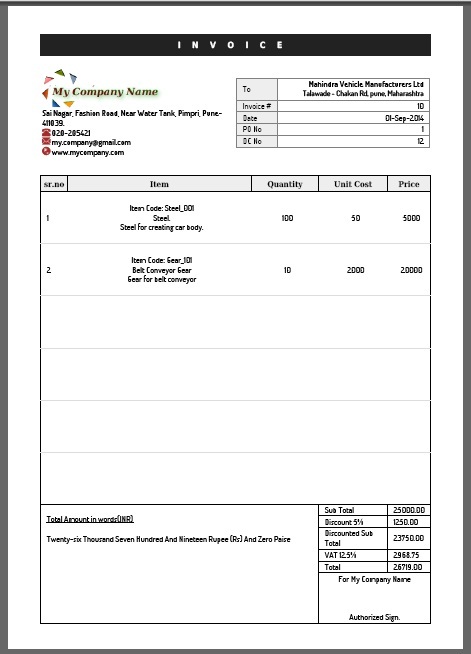 There are many templates user can use to beautify bills. Generating invoice is really fun with billinventory.com. 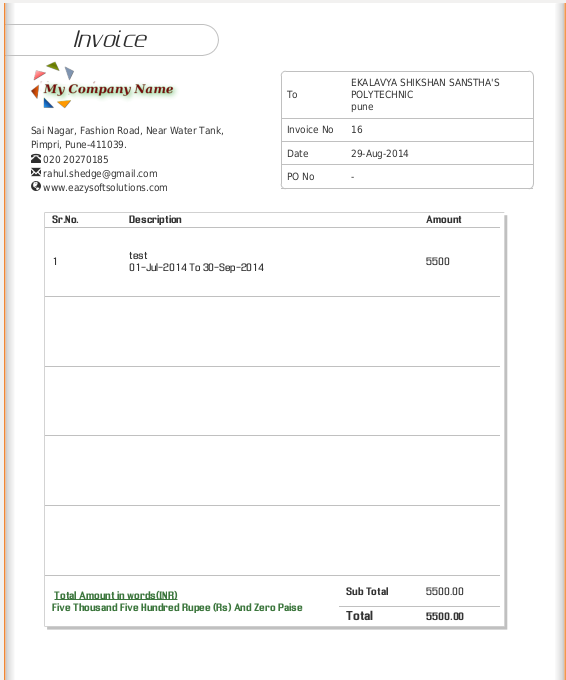 User can generate bills , quotations, reports using few clicks. You will surprise that many details are captured like you can set discount, packaging charges. 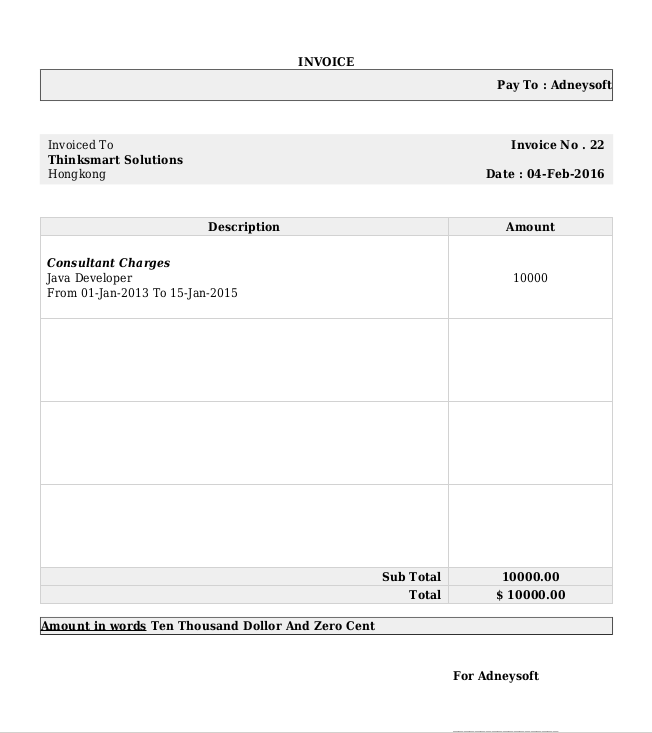 Few features such as AMC creation allows you to create invoices automatically after mentioned interval. for AMC quarterly, yearly & half yearly. Application triggers processing code after mentioned interval for annual maintenance contracts. Following industries are fully supported and there are so many templates for invoices. Different countries maintain different tax structures. Billinventory.com supports complicated / nested tax structures. User can create taxes as per need. 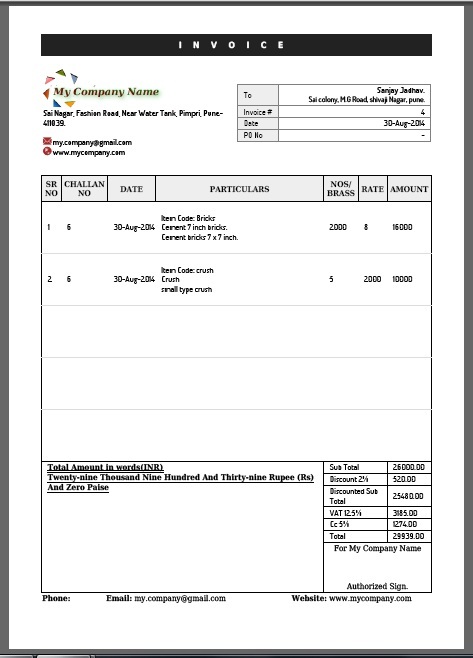 Can enter tax declaration as per government rules and regulations. So creating VAT, Service Tax, LBT invoice etc. is really simple and fast. Beautiful PDF quotations can be generated within minute.